For so long, Oxford has been a favorite spot for locals and tourists alike. Home to the famous Oxford University, the city is not only rich in history, but also in knowledge. Although modernized now, it still remains to be one of the best places to go to when you find yourself near the area. There are a lot of tourist spots that you can go to and at the same time, dining, shopping and accommodations are also very accessible. You can rest assured that you’ll want for nothing during your stay. 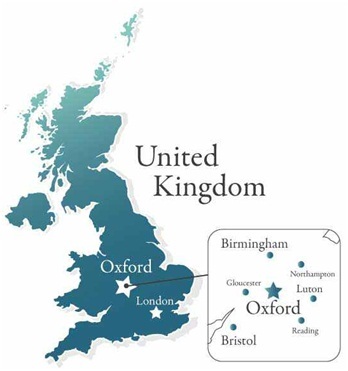 So if you are a traveler from London, how would you reach Oxford? Well, there are a couple of ways to reach the place and most of them are very convenient. The only thing you’ll probably have to consider is the London to Oxford travel time and then you can go ahead and choose the best accommodation for your travel. There is something classic about taking the train from one city to another. Not only is it fast, but along the way, you get to see a lot of scenic views. It definitely remains to be one of the most enjoyable ways to travel especially if you are with people you love. From London to Oxford, trains usually take an hour of travel so you won’t get to experience that stuffiness that comes with long periods of riding in a train. You don’t have to worry about the times that you have to catch the train because one leaves almost every 15 minutes. Also, London train fares will only cost you around £8 so it’s a trip that will definitely be light on the budget. Another famous way to travel to Oxford is by bus. Unlike train travel, this accommodation lasts a little longer and the travel time will take up to an hour and 40 minutes. If you like the leisure and the slow pace of travelling by bus, then this is your best bet. Bus travel can also expose you better to London tourism because you’ll get to see a lot of places along the way. National Express, one of the leading bus companies that travel from London’s Victoria Coach Station to Oxford Bus Station has tickets that costs around £21. This is a round trip fare so you can easily ride again when you feel like going back to London. Another company, The Oxford Tube is also very popular. Once again, buses leave every ten minutes for the passenger’s convenience. There will also be multiple stops along the way but the round-trip fare only costs around £16. Now, if you are planning for a road trip to Oxford, you’ll have to travel 62 miles by car. And although the travel time takes around an hour and a half, one thing that you have to consider is the cost of the travel accommodation. Petrol prices are usually high so you might have to spend a little more for it compared to using public transportation. If you are a tourist, there are car rentals all over London that can accommodate your travel. One good thing about this type though is that you are free to do all the stopovers that you want. You can even stop in the middle of nowhere and take pictures while you’re at it. And although this can expensive for the average traveler, perhaps, it is also one of the most enjoyable. There are a lot of options when you decide to travel to Oxford and that choice really just depends on you and your travelling companions. You should choose the type that will be most comfortable for you. Of course, there are things to consider like the London to Oxford travel time and the prices, but all of these things should come second to the enjoyment that travelling from one place to another brings. Whether you are going back and forth from London to Oxford because of leisure, enjoyment, or business, you should take time to appreciate the best of what the place has to offer. You’ll never know, even the simplest trips can turn magical with the right pieces put together. And enjoying that little bit of scenery never really hurt anybody so why not indulge, right?